Friends of Maine’s Coastal Islands is a certified 501(c)(3) nonprofit organization located in midcoast Maine. 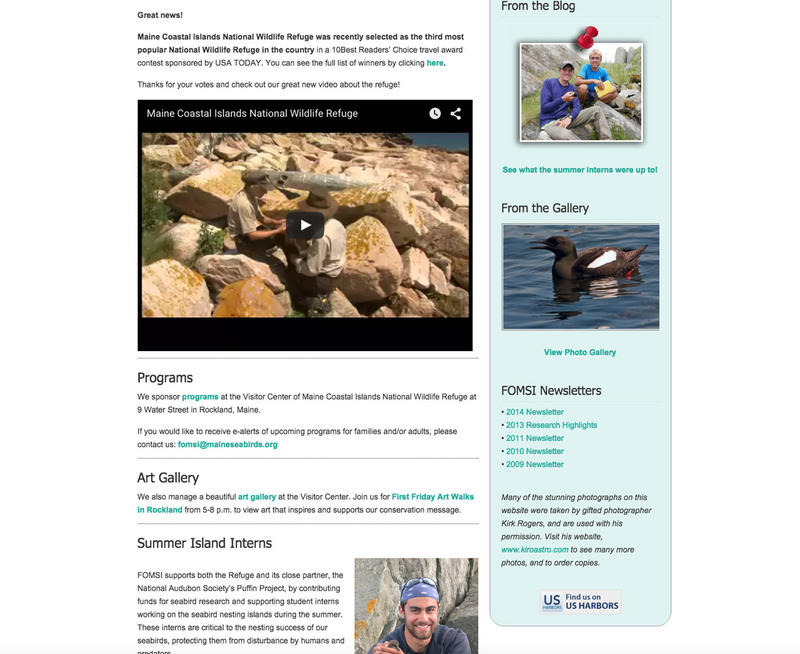 They do a bunch of great conservation work for Maine’s marine life so we were humbled to take on the job of rebuilding their website. 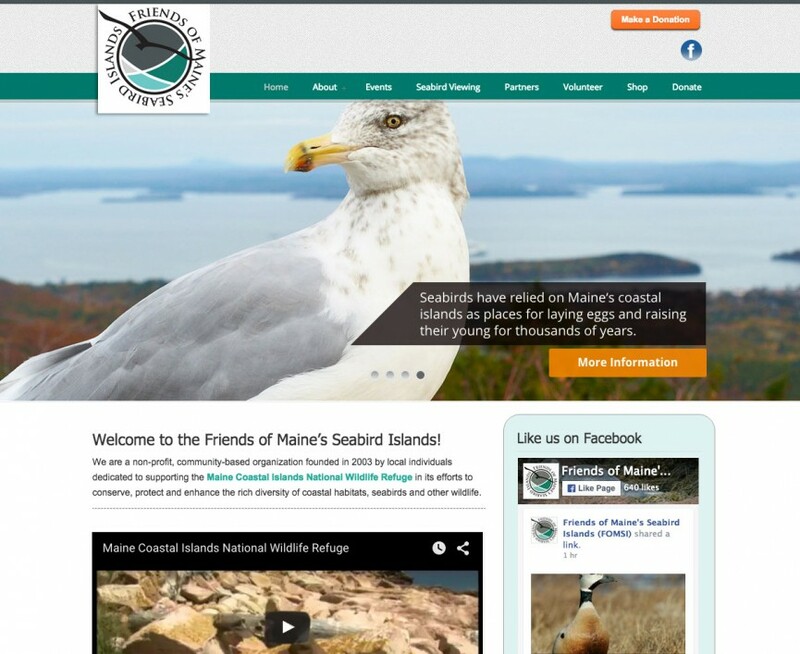 The site is fully responsive, features an embedded Facebook widget in the sidebar, and as you can see from the previews above, has a heavy emphasis on the visuals of Maine’s stunning coastal wildlife.